The past week has caused a lot of pain, confusion and emotion throughout the UMC and our faith community, RISE. With all of this, we are often left speechless— so we are so very thankful for friends like, Kate Martin, who so beautifully and articulately speak for so many of our hearts when words seem impossible. The following poem, written by Kate Martin, is a prayerful response to the statements made by the opposition during their floor debates that said, “I love you enough to tell you the truth” when speaking against/to/about LGBTQ individuals in the church. Please feel free to share this if it speaks to you too. the plans He’s laid before you. You see, my child, God has love for us all. Alas, I’m washed with the blood of Jesus through and through. It is a scene made of much different things. my life is not His. Your God is much bigger than the God you speak of. Folks have been expressing that they love being a part of RISE and want to be more deeply involved in leadership but just don’t know what really goes on behind the scenes. So, you asked and we supplied! This Sunday, Feb 10th RISE will be holding a ministry fair immediately following worship at 60 West Market Street where the various ministry teams will be set up and ready to answer any questions you may have. Come explore and get to know the ways you can be involved with RISE! Hey friends, the sale continues for the “Just Love” Valentine’s Day card project! In attempt to reclaim the true meaning of Valentine’s day, we’re selling handmade cards all in the name of love and justice — get it? JUST LOVE. All proceeds go toward mending God’s creation in the Harrisonburg community and surrounding areas. Join us at 60 West Market Street on Christmas Eve for an informal, reflective, meaning Christmas Eve service. Everyone is welcome. Consider becoming a Sustaining Mender today. We need your support to continue the work and ministry of RISE. Email riseharrisonburg@gmail.com with your monthly pledge of support today! All gifts are tax deductible. Join us every Tuesday throughout December for a midnight prayer. Sock it Winter! We're collecting socks for Open Doors! Join us as we collect socks for our friends at Open Door who provide shelter, supplies, and food for those in need throughout the winter months. Bring men and/or women’s socks to worship now through to mid-January to help us fill our space with much needed socks for those in need! 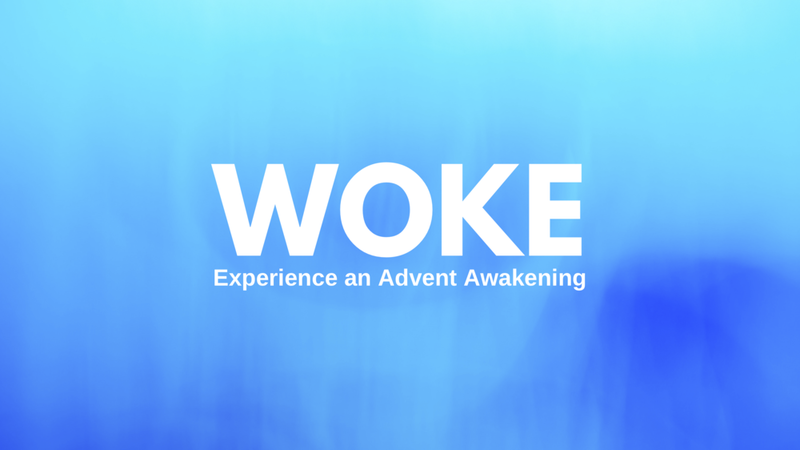 Join us Sunday mornings at exactly 10(ish) at 60 West Market Street in Harrisonburg for our WOKE series: an Advent awakening. If you’d like to participate in the 2019 Epiphany Dinners click here. Hey guys! Are you looking for a fun-loving group of other men to spend quality time with? Don't lie, you are. Come check out "Just for Men", a small group of guys that meet every Tuesday evening at Thomas Rea's house. You never really know what will go on unless you show up, but there will always be food of some kind to enjoy. Contact Thomas Rea at trea@vt.edu for more information! Seeking stillness is a vital part of being a human. It's how we recover. It's how we can order our thoughts. It's how we can discover the unchanging reality of God's presence and the firm foundation that reality provides in the midst of our chaotic, always changing lives. Join us on Wednesday, September 12th at 7pm at 60 West Market for a one hour service we call "Still". This small, intimate service will provide the space and guidance to practice still, quiet prayer together, and give you the tools for practicing these ancient practices on your own at home. G-Life has more fun! Standing for "God's Love is for Everybody" G-Life is our children's ministry. We meet most Sundays during worship for singing, games, service projects, Bible stories, and much more! But G-Life can't function without committed adult volunteers, which is where you come in. We are in need several new folks willing to sign up to join the volunteer rotation. If you are willing (and honestly, it'd be weird if you weren't cause the kids at G-Life are seriously the best!) contact Kristin Wenger at floraka@dukes.jmu.edu. We will be hosting a volunteer meeting and training on September 2nd following worship, so if you are planning to volunteer this coming year, please plan to attend. Join us for RISE's second annual, End-of-summer EPIC-nic! We'll gather at Shelter 1 at Westover Park at 5:30pm (following tour Disc Golf Tournament) for food, fun, and community. It's gonna be EPIC! We are in the process of launching a very special new outreach at 60 West Market called "With". It is focused on providing safe space for and presence with families waiting for their visitation time with their loved one at the jail across the street from our building. This is a multi-church/organization effort as we are partnering with several other communities in the area to begin this outreach. We are currently working on finding and training committed volunteers for this unique ministry. If you are interested in more information, please email Roy Nelson at roygnelson@gmail.com. RISE is hosting our first ever Disc Golf Tournament on August 19th at 3 pm at Westover Park in Harrisonburg. This is set to be a major fundraiser for the RISE community, so we need your help to get the word out! Teams of four are encouraged to register at $100 per team. All proceeds go to benefit the ministries at RISE. To register, please visit www.riseharrisonburg.com/discgolf and fill out the registration form. This event is open to anyone and everyone, so please spread the word! Prizes will be given out to various winners of the tournament. See you there!! It's a favorite at RISE and it's back! Our Blessing of the Animals worship service is happening at the JMU Arboretum on Sunday, July 29th at exactly 10(ish). Bring your pets (leashed or contained, please, as there will be other animals) to receive a blessing from the RISE community during this super casual and friendly outdoor worship service. Bring your own chair or blanket as well, as there won't be any seating. We'll sing some songs, pray together, and enjoy God's good creation together! We hope you will join us for two very special mid-week worship experiences this month. These services last no longer than one hour and offer intentional times of quiet reflection, prayer, meditation, and mindfulness. By stilling our hearts, we can dwell on and experience the presence of God's Holy Spirit among us. Our first meeting was such a joy for everyone who attended and we really hope you'll join us for the next two services. RISE will be at the Harrisonburg Pride Festival yet again this year. We will be handing out freeze pops and stickers to celebrate God's great gift of diversity and love! We hope you'll join us. If you would like to volunteer at our table, please contact Megan Marker at markermr@gmail.com to sign up for a slot. Thanks! !